The new 3M Speedglas 9100XXi is an auto-darkening professional welding helmet that boasts high definition, natural colours and an ultra-large viewing area. The 3M Speedglas 9100Xxi welding helmet. In fact the company says that, when combined with the peripheral Speedglas SideWindows, the 9100XXi gives welders "the largest viewing area amongst auto-darkening welding helmets currently available on the Australian and New Zealand markets". The new ‘True-View’ lens delivers a greater degree of definition and natural colour, 3M adds: "Shades of blue and red as well as contours and edges are more visible due to improved welding lens optics." The push of an external button activates grind mode, and another push reactivates the auto-darkening welding settings. The button also allows welders to store their most frequently used helmet settings. 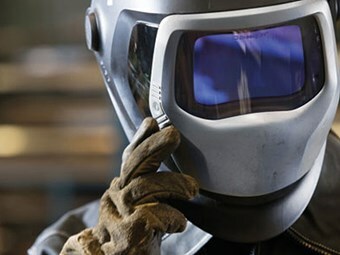 "By holding down the external button, welders can seamlessly switch between different welding applications without having to re-set the welding helmet," says David Chippendale, the marketing manager for AWS, the authorised representative for 3M Speedglas in Australia and New Zealand. "Each memory mode has an individual setting for dark shade, switching sensitivity and dark-to-light delay," Chippendale adds. "For example, by holding down the external button, the welder can switch between low-amp TIG and high-amp MIG welding in a matter of seconds." The helmet has a new ‘Grab-and-Go’ motion detector that activates the welding lens’s last-used welding setting when it senses movement. Other features of the Speedglas 9100XXi are flip-up functionality, head protection, hearing protection and powered or supplied air respiratory protection. 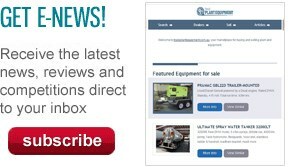 Click here to find welding equipment for sale.